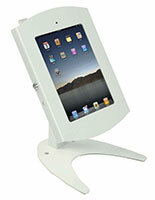 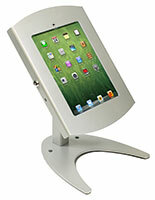 This iPad enclosure makes a great addition to any store or business operation. 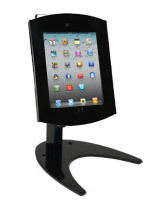 The user friendly tablet display fixture allows customers full program access via the Home button while protecting valuable devices inside a locking case that bolts securely to mounting surfaces. 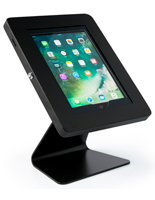 The sivler finish steel tablet enclosure is designed for maximum usability, offering full rotation, tilt and even including a bracket for use with Square card readers. 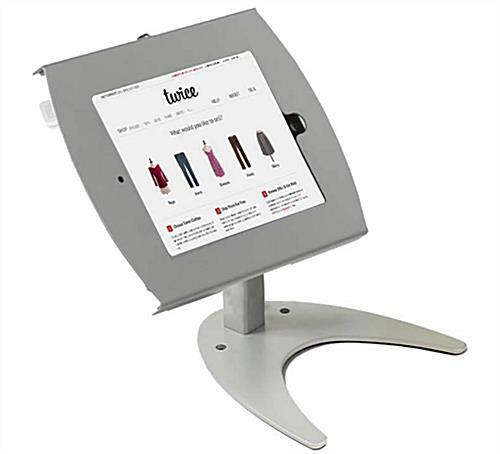 This countertop kiosk is a great choice for POS displays, inventory access, wayfinding and directory use, hospitality check-ins and more. 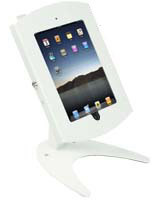 Each bolt-on fixture with locking enclosure is easy to install and comes with all necessary hardware. 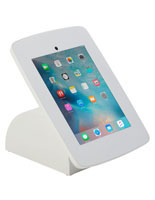 This versatile tablet display with Home access and lockable case is perfect for keeping expensive devices safe when used in high traffic areas.